After the amazing box-office debut of Black Panther and the box-office destruction of Avengers: Infinity War, Marvel Studios are looking to replicate their 2018 success for the third time with Scott Lang and the Pym Team shrinking into the big screen. Ant-Man and The Wasp is out in cinemas nationwide and it is one of Marvel’s smallest movies yet. It was definitely a good movie, but not great like we would have expected. 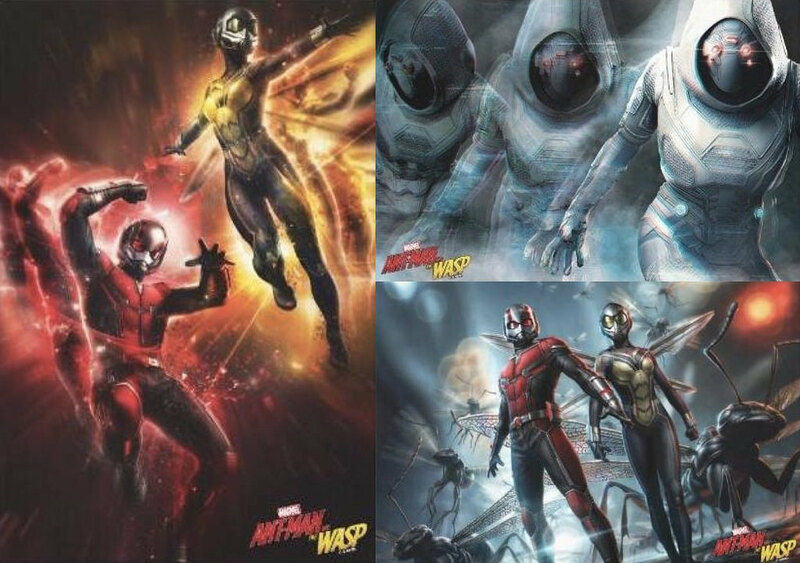 If you haven’t watched the movie yet, read 4 Things To Expect in Ant-Man and The Wasp instead. Scott Lang took on the moniker of a man who values both his friends and family and would do anything possible- even put his freedom on the line- to help them in their time of need. Finally seeing Evangelina Lily’s Hope character as The Wasp was worth the wait. She accentuated Ant-Man and helped make the action scenes a whole lot better- scenes that may have been bland if it was just Ant-Man in them,- and their teamwork was definitely right up there among the likes we’ve seen from Thor and Captain America together in battle. There was no depth to the movie. It’s just a movie that everyone would enjoy because it’s a marvel movie and a superhero that a lot of people would pay good money to see again, but like Thor: The Dark World, it was lacking in substance and depth. There were some recycled scenes from the prequel and also the surprising fact that there were tons of predictable scenes and outcomes. It made it a little bit less than what one had come to expect from a movie in the Marvel Cinematic Universe. Marvel Studios made another failed attempt at giving us a villain that we can sympathize with. It worked with Killmonger, it was an epic fail with Thanos and now Ghost. Another reason to try and justify the actions of the villain clearly went wrong. In fact, if you play the movie over again in your head, you’ll realise that there was no villain, there was just a very desperate and scared girl. In hindsight, one would call Hank Pym and his team the true villains because they were putting their happiness above the life of someone else’s. If Hope’s mother hadn’t been there to cure Ghost, she would have died all because of “Hank Pym’s ego”. Regardless, Ant-Man and The Wasp is quite an enjoyable movie and one that everyone should watch because the fact that it doesn’t have anything to do with Avengers: Infinity War (save for the post-credit scene), it does very well to stand on its own two giant/small feet – depending on the size you are using to look at it. Ant-Man and The Wasp is currently showing in cinemas nationwide.